Arriving in stores tomorrow is the Air Jordan 3 “Infrared 23”. The sneakers come about as close that we’ve ever seen to an OG colorway without actually being one thanks to the no-frills mixture of white, cement grey, and infrared. Granted the “Infrared” shade didn’t come to MJ’s sneakers until the Air Jordan 6, but we could still imagine an original Jordan 3 of this sport wearing perhaps a slightly different shade. 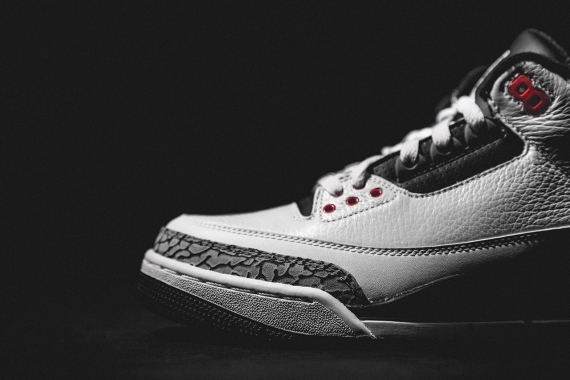 See more below watch for the Jordan 3 “Infrared 23” tomorrow at Wish ATL or right now on eBay.